2010 | Hipsters and Hassids: The painting series. The phenomenon. The 2009 represents the blues used by twitter, facebook, and anyone else who wants to have a safety color for their new startup. 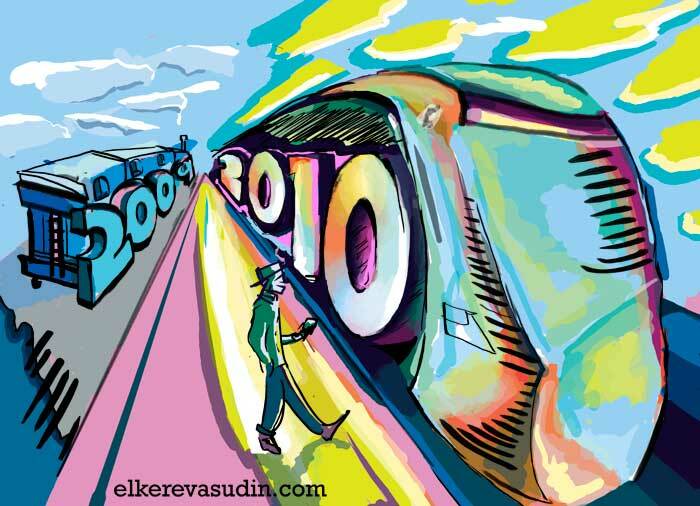 The colors representing 2010 were inspired by hipster facination with colors and shapes that we loved as children. And because the hipster fashion is what trends follow these days, I suspect it will influence other media as well.